In any relationship, controlling anger becomes difficult when things do not go as planned, when there is a misunderstanding, when viewpoints clash, when you are wrongly accused or when you do not know how to reason. The results of anger are clearly visible around us. The environment becomes negative and your relationship with the other person starts to spoil. 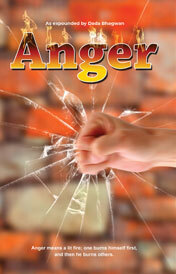 So how should you deal with anger in these types of circumstances? First off, you need to remain calm and think about how you can deal with the situation without hurting the other person. This can only happen when you obtain the right understanding on how to stop being angry and how to deal with the situation by controlling anger. 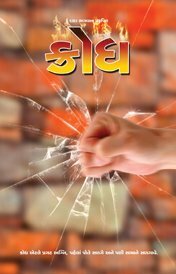 Param Pujya Dada Bhagwan has given practically applicable keys of right understanding on how to control anger in any relationship or situation. Once you receive the knowledge of the Soul (Self Realization) this understanding on how to stop being angry can help you enrich your relationships further. Dont we become frustrated and angry for something or the other in our day to day life? Pujya Deepakbhai explains that you should solve your problem calmly and quietly. Find out what do you want? Why do you become angry? What causes anger in relationship? How to deal with anger in a relationship? 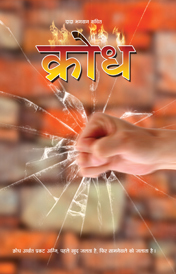 How to deal with anger in husband wife relationship ? Why do I get angry at workplace? How to deal with angry people? Why children favor their mother over their father? What is anger? What is annoyance? 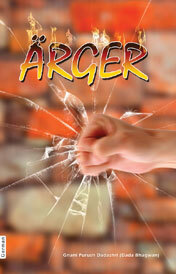 How to get rid of anger? Anger is a weakness and that is why it happens spontaneously. God has called it a weakness. God has said that a real man is the one who has no weakness of ego, anger, greed, or attachment whatsoever. Anger is a weakness, but people think of it as strength. The one who does not get angry possesses more inner strength than the one who gets angry. It is foolish to become irritated. Irritation is considered a weakness. Anger is like putting a lighted match to one's own home. Anger is setting fire to one's own home, which is filled with hay. First his own house burns and then the neighbor's house. Anger does not just happen to people. People get angry because they want to have their own way. 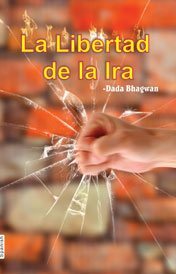 Anger can only dissolve if one understands that those who do wrong by him are merely his nimits, (people instrumental in delivering the effects of his past karma) and that what he is experiencing is the result of his karmas from his previous life. Trying to find a solution to stop the anger is foolishness because anger is a result. It is just like the results of an examination. The result cannot be changed. It is the cause which one needs to change. The solution to anger, pride, attachment, and greed, is to destroy their causes and leave the results alone. We should be aware of our anger at all times. When someone is hurt by our anger, we should be remorseful, ask him or her for forgiveness, and vow never to get angry again. The One, who is angry, is not aware of the anger. The One, who is greedy, is not aware of his greed and the One who is arrogant is not aware of his pride.